- Officer Lawrence Heiskell M.D., F.A.C.E.P. - Officer Joe Nakagawa, M.D., F.A.C.E.P. PRACTI-SEAL, SIMU-SEAL, SIM-FAK, SIM-GAUZE, AS WELL AS ALL S.T.A.T. 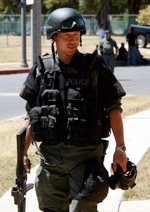 LOGOS ARE REGISTERED OR UNREGISTERED TRADEMARKS OF SWAT TRAUMA ASSISTANCE TRAINING (S.T.A.T.) OF SAN LUIS OBISPO CALIFORNIA. © COPYRIGHT 2019. S.T.A.T., ALL RIGHTS RESERVED.